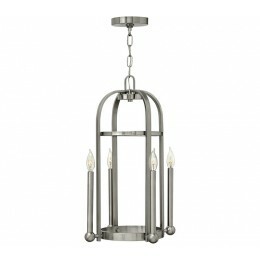 Landon is a unique foyer lantern collection with an updated traditional chain hung design infused by cool, retro style. Its oversized rectangular framework enables the focus to be on elegant extended candle sleeves finished to match. 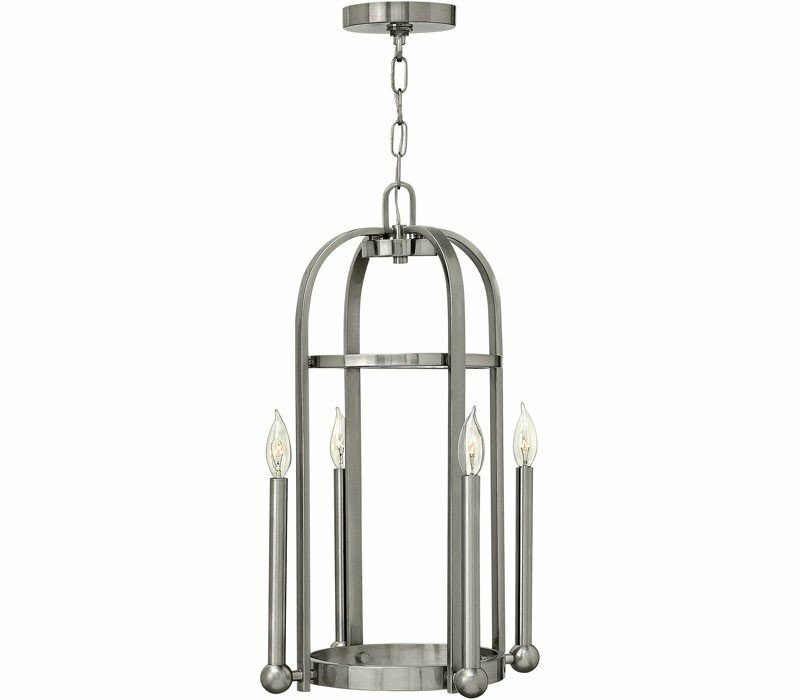 The Hinkley 3013BN Landon collection Chandelier Lighting in Brushed Nickel uses Incandescent light output and brings Decorative style. This item is 24.5"H x 15"W. The wattage is 240. The Hinkley 3013BN requires 4 bulbs (not included).